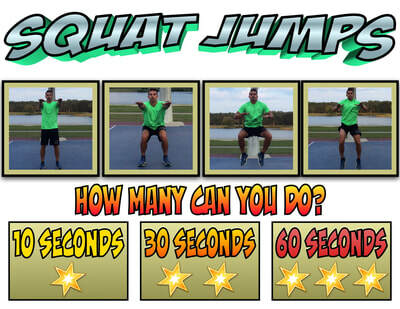 These Exercise Challenge Charts will have your students aiming for the stars! Designed to be posted around your gym as a way to introduce, reinforce, and challenge students to challenge themselves and each other. 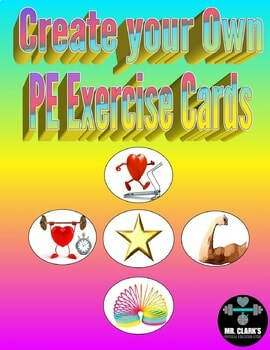 They can be printed, laminated, and used to get students learning, practicing, and exploring the world of fitness! 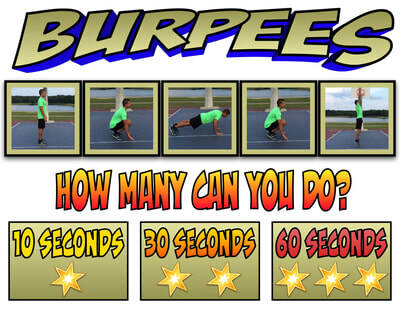 Next time a student asks, "What is a Burpee?" 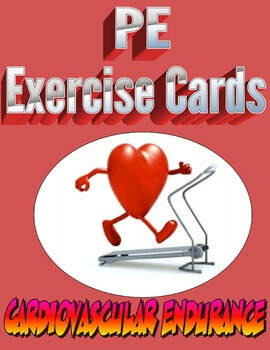 point them over to the exercise challenge chart and watch the learning exploration begin! No more sitting taking paper pencil tests. 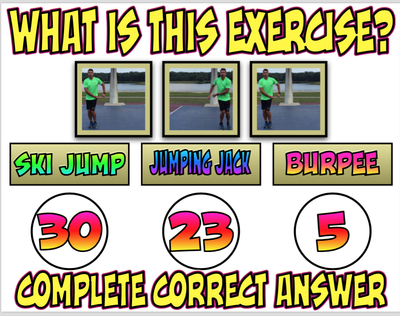 Even if students get the answer wrong they are still doing their body right! 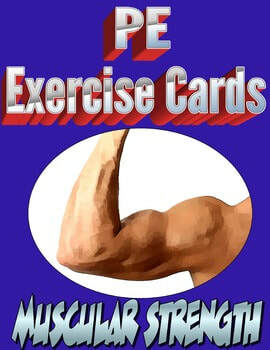 Use these Exercise Assessment Charts to see how much your students know when it comes to the world of fitness and exercise. 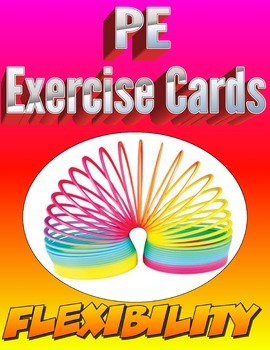 These Exercise Assessment Charts are built off of my Exercise Challenge Charts and will have your students moving like crazy. Both products are also available as discounted bundle. Watch the learning exploration/self-assessment journey begin! 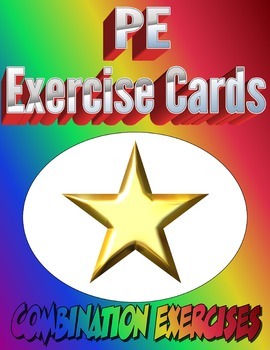 There are 21 eye-popping charts (21 different exercises) with 3 answer choices that correspond to a particular number they must perform to successfully answer question. 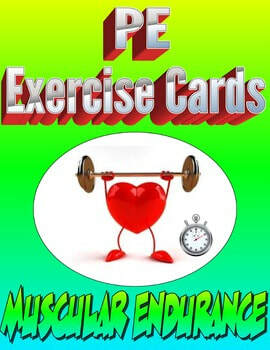 ​(Muscular Endurance (8), Cardiovascular Endurance (8), Muscular Strength(8), Flexibility(8),Combination Movements(12), Bundled (44),Push-Up Exercise Cards (22), and Create Your Own!